Announced today a 7% increase in the quarterly dividend from $0.30 per share to $0.32 per share. The dividend will be paid on March 8, to all shareholders of record as of Feb. 20, 2018. This is the fifth time the company has raised the dividend since initiating the quarterly dividend in July 2013, with a cumulative increase of 220% since that time. Reported net income for the fourth quarter and full-year under Generally Accepted Accounting Principles (“GAAP”) of $367 million, or $2.97 per diluted share, and $1.0 billion, or $8.30 per diluted share. These results compare to fourth quarter 2016 net income of $114 million, or $0.92per diluted share, and full-year 2016 net income of $814 million, or $6.54 per diluted share. As the acquisition of Virgin America Inc. (Virgin America) closed on Dec. 14, 2016, 2017 information reflects the results of Virgin America. 2016 information reflects the results of Virgin America from Dec. 14-31, 2016. Reported fourth quarter 2017 adjusted diluted earnings per share of $0.83 compared to $1.56reported in the fourth quarter of 2016. Fourth quarter adjusted net income, excluding merger-related costs, special income tax benefits related to tax law changes, and mark-to-market fuel hedging adjustments, was $103 million compared to $193 million in the fourth quarter of 2016. This quarter’s adjusted results compare to the First Call analyst consensus estimate of $0.82 per share. Reported full year 2017 adjusted net income, excluding merger-related costs, the special income tax benefit, and mark-to-market fuel hedging adjustments, of $823 million, compared to $911 million in 2016. Reported 2017 adjusted diluted earnings per share of $6.64, compared to $7.32in 2016. Paid a $0.30 per-share quarterly cash dividend in the fourth quarter, bringing total dividend payments in 2017 to $148 million. Repurchased a total of 981,277 shares of common stock for approximately $75 million in 2017. Generated approximately $1.6 billion of operating cash flow and used approximately $1.0 billionfor capital expenditures, resulting in approximately $547 million of free cash flow in 2017. Grew passenger revenues by 32% compared to the fourth quarter of 2016, and by 36% compared to full-year 2016, largely enabled by our acquisition of Virgin America in December of 2016. Generated full-year adjusted pretax margin of 17% in 2017. Held $1.6 billion in unrestricted cash and marketable securities as of Dec. 31, 2017. Reduced debt-to-capitalization ratio to 51% as of Dec. 31, 2017, compared to 59% as of Dec. 31, 2016. Ranked “Highest in Customer Satisfaction Among Traditional Carriers” in 2017 by J.D. Power for the tenth year in a row. Ranked first in the U.S. News & World Report’s list of Best Travel Rewards Programs for the third consecutive year. Won the “Best Rewards Program” for Alaska Mileage Plan for carriers in the “Americas” region in the sixth annual FlyerTalk Award. Mileage Plan ranked Best Airline Elite Status Program in the U.S. by The Points Guy. Ranked among Forbes’ 2017 “America’s Best Employers” for the third year in a row. Received 16th Diamond Award of Excellence from the Federal Aviation Administration, recognizing both Alaska and Horizon’s aircraft technicians for their commitment to training. Ranked by AirlineRatings.com as one of only two U.S. airlines in the Top 20 safest airlines in the world. Rated “Best Airline Staff in North America” and “Best Regional Airline in North America” by Skytrax World Airline Awards. Awarded TripAdvisor’s 2017 Travelers’ Choice Award for second-best midsize and low-cost airlines in North America and one of the top 10 best airlines in the world. Recognized by the Puget Sound Business Journal as the 2017 Board Diversity Champion, as well as by the Women Corporate Directors Global Institute for diversity among our Directors. Recognized as No. 1 in fuel efficiency for U.S. airlines by the International Council on Clean Transportation for the 7th consecutive year. Named one of the overall five-star major regional airlines at the Passenger Choice Awards during the APEX EXPO. Ranked fifth of most engaged companies in the U.S. by Forbes Insights, which measured social media engagement, net promoter scores, and year-over-year sales growth. Rated Best U.S. Airline by Conde Nast Traveler in their “Annual Readers’ Choice Awards” for the tenth year in a row. Rated Best Domestic Airline in Travel + Leisure “World’s Best Awards” for the tenth year in a row. Received a five-star rating for low-cost carrier, and received a top honor with a Passenger Choice Award for “Best Seat Comfort” during the APEX EXPO. Awarded $135 million in incentive pay to employees for 2017. Awarded employees a $1,000 bonus in January 2018 in connection with the passing of the Tax Cuts and Jobs Act, amounting to approximately $25 million to be paid on Jan. 29, 2018. Granted “Single Carrier Determination” by the National Mediation Board (“NMB”) for Alaska Airlines and Virgin America, paving the way for labor integration and union representation. The NMB officially certified the Association of Flight Attendants as the union representative for Virgin America inflight teammates and the International Association of Machinists and Aerospace Workers as the union representative for Virgin America clerical, office and passenger service employees. Entered into an agreement with the International Brotherhood of Teamsters to amend the eight-year contract with Horizon’s pilots, providing Horizon the ability to attract and retain the best pilots in the regional industry. Alaska received a perfect score of 100% for workplace equality on the 2018 Corporate Equality Index (“CEI”). Virgin America received a score of 95%. Launched various new in-flight amenities, including Free Chat, upgraded food and beverage options and Premium Class service. Selected Gogo to provide next-generation satellite-based Wi-Fi across the entire Boeing and Airbus fleets, providing guests a faster and more-reliable internet connection. Dropped fees for bikes, golf clubs, skis, surfboards, and other sporting equipment that exceed Alaska’s normal checked baggage weight and dimensions to $25. Added Condor Airlines, Finnair, and Singapore Airlines as global Mileage Plan partners. Announced plans to fly 13 daily departures from Paine Field-Snohomish County Airport in Everett, Washington to eight West Coast markets starting in fall 2018. Signed an exclusive multi-year partnership with Golden State Warriors star Kevin Durant naming him “Advisor to the CEO,” and extended our partnership with Russell Wilson and Ciara. Converted the world’s first Boeing 737-700 from a passenger plane to a freighter and placed it into revenue service. Added 14 Boeing 737-900ER aircraft and 4 Airbus A321neo aircraft to the operating fleet in 2017, bringing the total Mainline fleet to 221 aircraft. 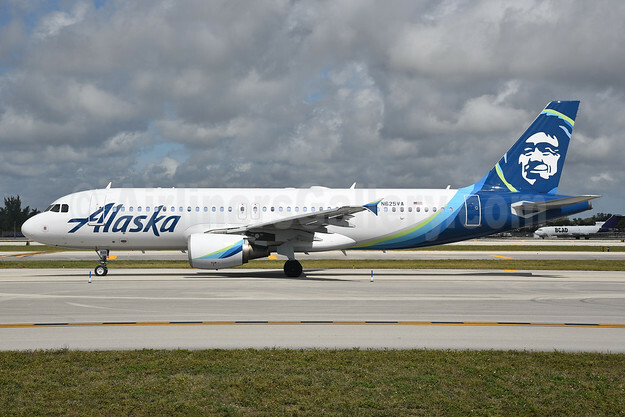 Added 10 Embraer 175 (E175) regional jets to Horizon Air’s fleet in 2017. Added 44 new markets in 2017 across the Alaska Air Group and Virgin America networks. Donated over $14 million and contributed more than 32,000 volunteer hours to support nonprofits in our local communities, focusing on youth and education, medical (research/transportation) and community outreach. Alaska Air Group Inc. reported fourth quarter 2017 GAAP net income of $367 million, or $2.97 per diluted share, compared to $114 million, or $0.92 per diluted share in 2016. Excluding the impact of merger-related costs, the special income tax benefit, and mark-to-market fuel hedge adjustments, the company reported fourth quarter adjusted net income of $103 million, or $0.83 per diluted share, compared to adjusted net income of $193 million, or $1.56 per diluted share in the fourth quarter of 2016. The company reported full-year 2017 GAAP net income of $1,028 million, compared to $814 million in the prior year. Excluding the impact of merger-related costs, the special income tax benefit, and mark-to-market fuel hedge adjustments, the company reported adjusted net income of $823 million, or $6.64 per diluted share for 2017, compared to adjusted net income of $911 million, or $7.32 per diluted share in 2016. Copyright Photo: The first ex-Virgin America Airbus A320 has been repainted at Victorville. After this photo was taken, it was flown to San Francisco to enter revenue service from SFO. Alaska Airlines Airbus A320-214 N625VA (msn 2800) VCV (Derin Allard). Image: 940790. This entry was posted in Alaska Air Group, Alaska Airlines, Virgin America and tagged Airbus A320-214, Alaska Airlines, Alaska Airlines Group, msn 2800, N625VA, VCV, Virgin America on January 25, 2018 by Bruce Drum.